In January, we launched The NADSP E-Badge Academy as part of our commitment to our mission to elevate the status of direct support professionals by improving practice standards; promoting system reform; and advancing their knowledge, skills and values. 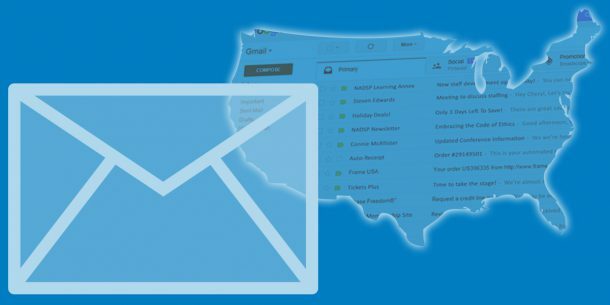 Over the last two years, NADSP has been fine-tuning The NADSP E-Badge Academy to create a new and more effective credentialing platform. 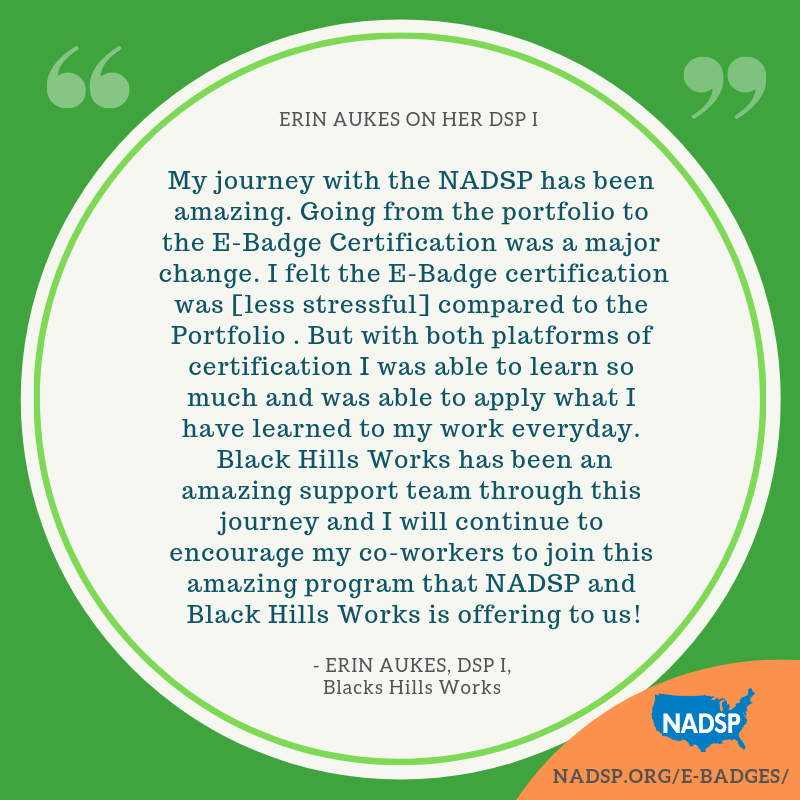 We are excited to announce that Erin Aukes, Direct Support Professional at Black Hills Works is the first person to achieve the DSP- I Certification through The NADSP E-Badge Academy! 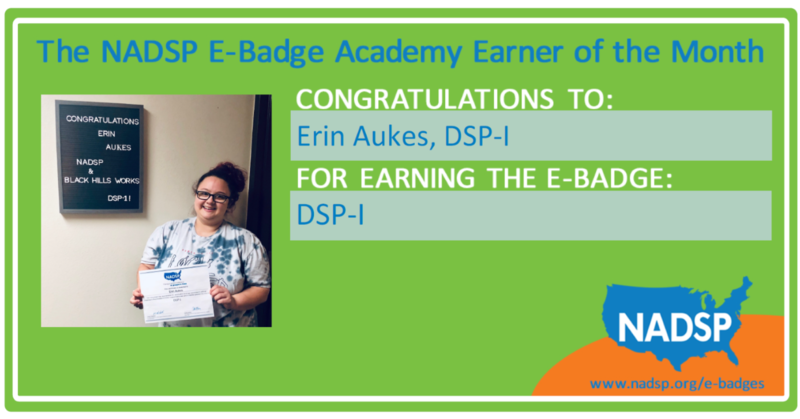 Erin had previously been working toward DSP-I certification through the traditional portfolio-based certification. Through the support of Black Hills Works, she was able to quickly change gears and reach this historic milestone. We look forward to continuing to celebrate these achievements as The NADSP E-Badge Academy grows!